The trailer of Sultan, the Warrior, an animated film scheduled to run for three minutes and directed by Saundarya Rajnikanth will be shown during the screening of Sivaji. 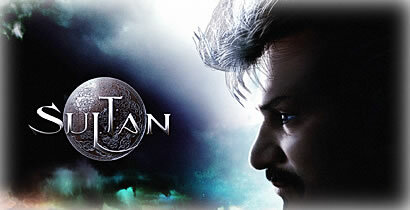 This film has Rajnikanth in an animated form and is the first of its kind. Sultan, the Warrior is being produced on behalf of Ochre studios run by Saundarya. Besides Tamil, the film will be launched in Telugu, Hindi and English which is again a unique feat for an animated film. Sultan will have the usual entertainment factors of any Rajini film like the punch dialogues and racy stunt scenes in a stylish manner. Music will be scored by A R Rahman and the film will be due for release in 2008. Arrangements are being made to screen this film worldwide. While talking about this endeavor of hers, Saundarya says, “My dad’s fans all round the world are eagerly waiting to see him in an animated form as this film has already raised expectations everywhere”. She also promised that this is just the beginning and there will be lot more in the final product.